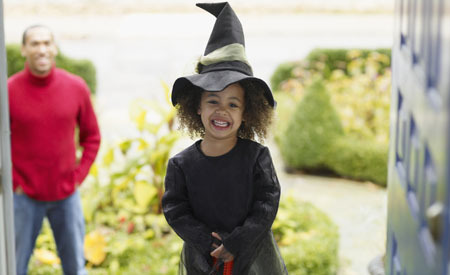 The American Dental Association has some great tips for having a healthy Halloween. Below are a few to remember! “Snacking on candy throughout the day is not ideal for your dental health or diet,” Dr. Ferraz-Dougherty says. Eat Halloween candy (and other sugary foods) with meals or shortly after mealtime. Saliva production increases during meals. This helps cancel out acids produced by bacteria in your mouth and rinse away food particles.